Exploring the sonic and emotional range that the audience have learned to expect from Lebanon Hanover, “Alien” is built up in emotional vocals, liquid chords, dramatic keys, and distorted digital waves where the duo recalls the eerie clouds of industrial and goth 1980′s. The album depicts the dark honesty and profound feelings of two alienated personas with true romantic hearts yet feeling socially unrest. In each track, William and Larissa tell a different story which will sweep the audience through a deep, conscious, continual and wistful trip, and ultimately keep them anchored in feelings. 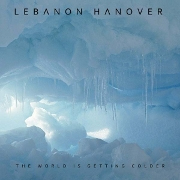 Hailing from the UK, The World Is Getting Colder is the debut LP from Lebanon Hanover, a duo formed of William Maybelline and Larissa Iceglass. It came out in February as the 5th release from Fabrika Record. Before that, you might have heard Kunst that appeared on Monosynth and they also released a split cassette with La Fête Triste on aufnahme + wiedergabe, in September 2011. The first song, Die World, starts up with an harmony from Bauhaus’s classic Bela Lugosi’s Dead, to quickly bring us into the mood for the bewitching ambiance that follows up. 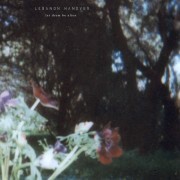 In its whole, Lebanon Hanover are using distorted guitars, bass guitars, sporadic synthesizers and a drum machine to create a cold and minimal aesthetic, all structured in a very shiny way. Their haunting vocals highlighted in wide reverberations, which didn’t fail to rock my guts more than once, are adding a nice touch of warmness. Mixing a bunch of efficient elements from the past into their sauce, I think Lebanon Hanover still innovated with a very distinct sound. Just listen to Totally Tot where things are getting pretty mad with this earth shaking rhythm and deep pounding bass line. I have no doubt it is going to hit the dance floors like a ton of bricks! The World Is Getting Colder is still available on Fabrika Records store.